Travelling to this mountain resort is an adventure in itself as the road winds its way up over scenic rice fields and mountains. 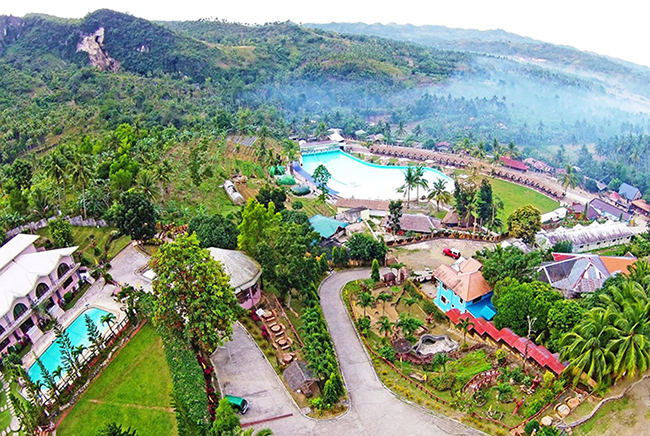 Located 14 kilometers away from the town proper, the Hidden Valley Mountain Resort is owned and managed by the Lamac Multi-Purpose Cooperative (LMPC). It is a perfect place for relaxation, swimming, conferences, seminars, meetings, weddings, parties, reunions and other such gathering or celebrations. The mountain resort - which has two big pools for adults and two small pools for the kids - is one of the best places to commune with nature and enjoy its serenity.